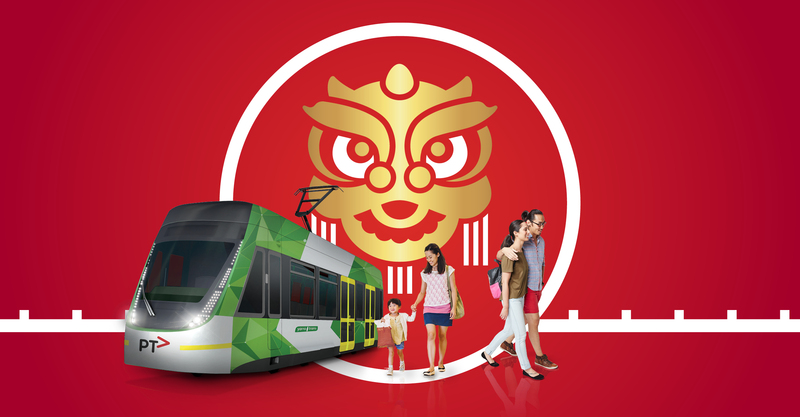 Yarra Trams is proud to support Chinese New Year United in bringing in the Year of the Pig. From 2 - 17 February, Melbourne's Chinese community comes alive with a celebration of art, cuisine, culture and performances across the city, including the Yarra Trams Cultural Kaleidoscope on Sunday 3 February. For a full program of activities please visit the Chinese New Year Melbourne website. Trams take you to all the key events and activities. For events at Queensbridge Square, take Route 58 Trams to Stop 115 Casino / Southbank. Alternatively, take Flinders Street services to Stop 3 Market Street and walk 5 minutes south across Queens Bridge. For events at Docklands, take Routes 35, 70 or 86 to Stop D11 The District. For events at Melbourne Museum, take Routes 86 or 96 to Stop 11 Melbourne Museum. For events at DFO South Wharf, take Routes 12, 96 or 109 to Stop 124A Casino / MCEC from where DFO South Wharf is a short 10 minute walk west along the Yarra promenade.